Loreto Chorlton is proud to work in association with Loreto College in Hulme and Loreto Grammar school in Altrincham, our two neighbouring Loreto learning communities. The Loreto Community was started over 400 years ago by an inspirational woman named Mary Ward who established clear values to help her focus on her mission. Mary Ward’s life was far from straight forward and Mary met many challenges in her lifetime but she was a committed lady who faced them with rigorous determination. Please view the Loreto Education in England booklet. Mary Ward was born into a family of the staunch catholic gentry: she was the eldest daughter of Marmaduke Ward and Ursula Wright. 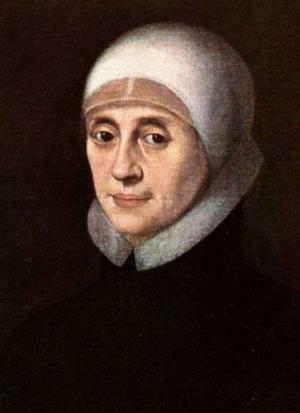 Even from childhood, Mary Ward knew religious persecution as she grew up in Reformation England, where to practise the Catholic faith could result in prison or death. Her grandmother was arrested and imprisoned for 14 years. Mary was a deeply spiritual person and although a religious life was not possible in England she was determined, at an early age, to travel to Europe to become a nun, rejecting several eligible men who sought to marry her. In 1606, when Mary was 21 years old, she left England to enter a convent of Poor Clares in St Omer. Mary soon found that she was not suited to the contemplative life and she resolved to devote herself to active work. Aged 24 she returned to England and gathered around her a band of devoted companions determined to labour under her guidance, among them her cousin Barbara Babthorpe, Mary Poyntz and Winifred Wigmore. In 1609, once again in St Omer, they established themselves as a religious community. The group formed what was later to become the Institute of the Blessed Virgin Mary (IBVM) and their reputation spread throughout Europe as more schools were opened. The Sisters’ work was to include the poor as well as the rich. Mary was described as courageous and generous. She travelled Europe on foot, in dire poverty, frequently ill, founding schools in the Netherlands, Italy, Germany, Austria, the Czech Republic and Slovakia. In 1621 with Winifred Wigmore and others, Mary journeyed 1500 miles to Rome, crossing the Alps on foot in the winter. To the end she trusted totally that what God had asked of her would be accomplished in the future and her last words were ‘Jesus Jesus Jesus.’ Mary Ward taught by example and words. Act “without fear… in quiet confidence that God will do his will in confusion.” Her unwavering fidelity to “that which God would” was nourished by deep contemplative prayer. To Mary, God was the “Friend of all friends.” She lived her fidelity with cheerfulness and a passion for the truth. Never abandoning her trust in God’s guidance, Mary died near York in 1645 during the Cromwellian Civil War. 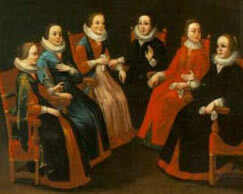 By the mid-seventeenth century, small groups of Mary Ward’s followers, known in Europe as the ‘English Ladies’, were to be found in Munich and Augsburg and later, on the invitation of members of the Catholic gentry, in London and York. It was to the foundation in York that in 1814, Frances Ball, a young Irish woman, was sent to live with and learn from the IBVM sisters. In 1821 she returned to Dublin with two novices to establish a convent and school there. From this time she would be known as Mother Teresa Ball. In 1822 Mother Teresa opened the first house of the Institute in Ireland, in Rathfarnham House, four miles from Dublin. She called it “Loreto House” (the spelling of which changed at the end of the nineteenth century), a name that was to be used for all the subsequent foundations that came from Ireland, and which resulted in the sisters of the Irish Branch of the IBVM being popularly known as “Loreto Sisters”. Mother Teresa was a woman of deep spirituality and significant administrative ability. Her energies were devoted to the establishment of many convent schools in Ireland and also in India (1842), Mauritius (1844), Gibraltar (1845), Canada (1847) and England (1851). She died at Loreto, Dalkey, on 19th May 1861. All Loreto schools and communities endeavor to live by the five core values of Mary Ward which are centred in God and rooted in the gospel. © 2019 Loreto High School Chorlton. All Rights Reserved.